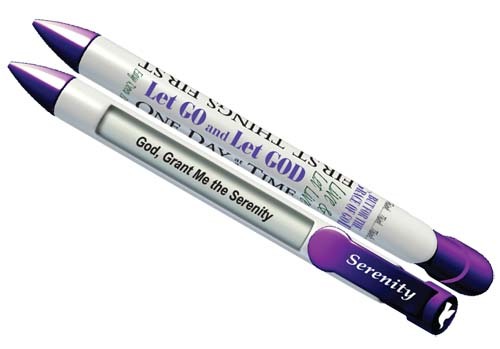 With each click of the pen button this incredible Recovery Pen magically rotates through each verse of our Serenity Prayer. Serenity Pens feel good in the hand. They have a slightly thicker body than standard ball point pens and they write great!